← Single Mode SFP vs Multimode SFP: What’s the Difference? Transceiver module, known as the essential optics for data transmission, is widely used to connect network applications like switches and network interface cards. Various types of transceiver modules exist, such as copper SFP, fiber SFP, CWDM SFP and so on. RJ45 SFP module is a kind of transceiver modules, which has been utilized as a legacy solution for some years. This article will give a clear explanation to RJ45 SFP module, its benefits and how to use it. What Is RJ45 SFP Module? RJ45 SFP module, also known as copper SFP, is a kind of hot-pluggable transceiver module. 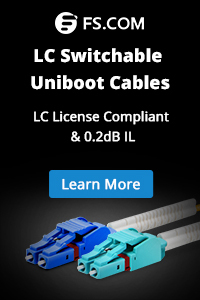 It supports 10/100/1000 Mbps data rate over Cat5e or Cat6 cables with RJ45 connector interface. And it allows communications over the twisted-pair copper cable of link lengths up to 100 m. So it is commonly used for transmitting data in a short distance, for instance, for server switching, LANs in data centers, for uplinks or directly to the desktop for broadband applications. In addition, with the increasing demand for high-speed communication links, some vendors started implementing a popular and updated copper module: 10GBASE-T SFP+ copper transceiver. It is the first 10G copper SFP RJ45 module, which requires 10 gigabit Ethernet over Cat 6a/7 cable and offers great savings and flexibility during network deployment. Why Choose RJ45 SFP Module Over Optical SFP Module? Cost is an important factor in employment. 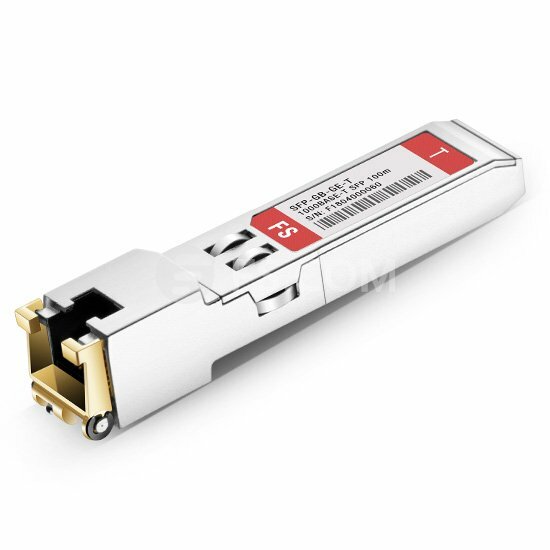 When the link distance is under 100 m, choosing the copper SFP module to connect the switches might be more economical since copper SFP and Cat5e or Cat6 cables are lower-priced than optical SFP transceiver module. Copper SFP transceiver is convenient for operators to deploy their network systems. Copper SFP module can be plugged directly into the existing copper cabling system, which can make seamless upgrades and replacements by minimizing network disruptions. 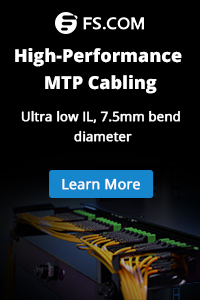 While if you choose optical transceiver, you have to tear down the existing copper cabling and redeploy the fiber cabling. How to Use RJ45 SFP Module? RJ45 SFP module is usually utilized to connect two switches with copper interface over Cat5e or Cat6 cable. The following will show you how to install, connect and remove the RJ45 SFP module in detail. Attach an ESD preventive wrist strap to your wrist and to a bare metal surface. Remove the copper SFP module from the protective packaging. Find the copper SFP markings on the module and align them in front of the slot opening. Insert the copper SFP module into the slot on the switch until the copper SFP module snaps into position. Insert Cat5 cable into the RJ45 connector of the copper SFP module. Make sure the Cat5 cable has been pushed into the copper SFP module. Attach an ESD preventive wrist strap to your wrist and to a bare metal surface as well. Disconnect the cable in the SFP module. Put the removed SFP module within the protective packaging or antistatic bag. When you choose an RJ45 SFP module, the quality and cost matter a lot. So the three-party vendor may be a good choice. FS.COM not only supplies compatible RJ45 SFP modules which all meet the standards or MSA, but also provides reliable switches and patch cables. If you have any needs, welcome to visit FS.COM. This entry was posted in SFP transceiver and tagged compatible rj45 sfp modules, Copper SFP, rj45 sfp module. Bookmark the permalink.